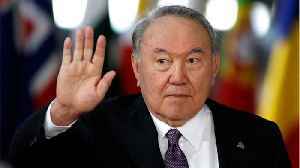 Kazakhstan&apos;s President Nursultan Nazarbayev unexpectedly resigned on Tuesday after three decades in power. Lauren Anthony reports. 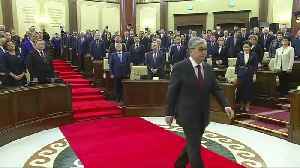 MOSCOW (AP) — Kazakhstan’s ruling party has nominated the interim president to run in the presidential election later this year. The Nur Otan party on Tuesday voted to nominate Kassym-Jomart.. 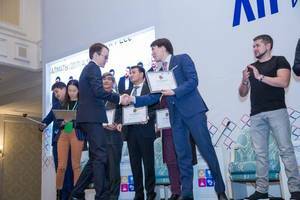 Successful In Promoting the Flourishing Development of Asian Higher Education HONG KONG, April 16, 2019 /PRNewswire/ -- The annual Asian Universities Alliance (AUA) Summit took place on 13 and 14..
By John Lough When Nursultan Nazarbayev announced on March 19 that he was stepping down after 30 years in charge of Kazakhstan, he was quick to say that he was not leaving the scene. 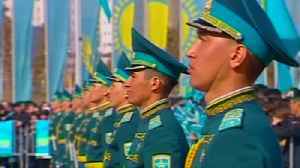 In a short..
MOSCOW (AP) — Kazakhstan’s interim president has ordered an early presidential election in two months’ time. Kassym-Jomart Tokayev, who became the acting head of state after last month’s..
A month after he stepped into the post of president, Kassym-Jomart Tokayev has called elections for June in the oil-rich Asian state. The power behind the presidency, Nursultan Nazarbayev, is involved..
A recent study of the popularity of a Saudi-inspired quietist ultra-conservative strand of Islam among Kazakh businessmen suggests that the kingdom has upgraded its faith-driven soft power campaign as..
MOSCOW (AP) — Kazakhstan’s interim president is making his first foreign visit since being appointed two weeks ago, meeting with Russian President Vladimir Putin in Moscow. Kassym-Jomart Tokayev,..
By Wilder Alejandro Sanchez* Trade between Kazakhstan and India in 2018 reached USD$1.2 billion, according to the Kazakhstani authorities. While this amount is not particularly large when compared..
By Joanna Lillis* At the start of last week, Kazakhstan had a capital city called Astana and a president called Nursultan. Now, it has a capital called Nursultan and a president called..
Kazakhstan’s president resigns after three decades in power – and the transition could reignite great power rivalry in Central Asia. 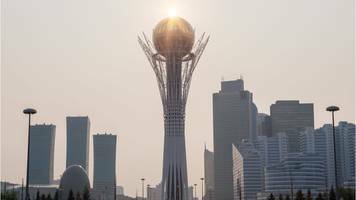 By Agnia Grigas* President Nursultan Nazarbayev’s..
Qazaqstan, otherwise known as Kazakhstan, is a country in the midst of many transformations, culturally as well as economically. In 2017, in a move seen by many as a symbolic opening of the arms to the.. The resignation of Kazakhstan's president has given rise to speculation over the future transfer of power in Russia. Will Vladimir Putin follow Nursultan Nazarbayev's lead? 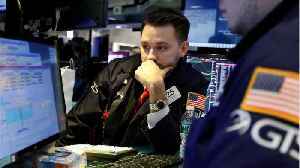 Juri Rescheto reports from.. 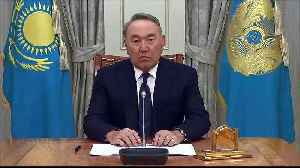 Most commentators have dismissed Kasym-Zhormart Tokayev, who replaced Nursultan Nazarbayev as president of Kazakhstan, as a cypher either because they believe that Nazarbayev will continue to make all..
Kazakhstan’s capital city Astana has been renamed Nur-sultan after the country’s new President Kassym-Jomart Tokayev signed a decree on the renaming in honor of his predecessor Nursultan..
Astana has been renamed as Nur-Sultan, as a tribute to former leader Nursultan Nazarbayev, who resigned on Tuesday. 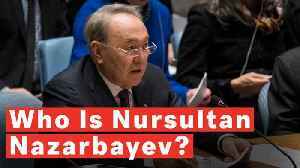 MOSCOW (AP) — Kazakhstan has renamed its capital to Nur-Sultan, in honor of the country’s longtime leader who resigned this week. The order to change the city’s name from Astana was issued..
After 30 Years, Kazakhstan Gets a New Ruler. Sort Of. Nursultan Nazarbayev is leaving the presidency but will retain considerable power. Police arrested dozens of opposition supporters staging rallies in Kazakhstan's two major cities on Friday, three days after the surprise resignation of veteran leader Nursultan Nazarbayev, according..
Police detained dozens of anti-government protesters at rallies in Kazakhstan's two major cities on Friday, days after the surprise resignation of veteran leader Nursultan Nazarbayev, Reuters..
Nursultan Nazarbayev remains omnnipresent in Kazakh politics days after his surprise resignation, hinting he will effectively retain a share of power with the loyalist parliament speaker who..
People in Kazakhstan protest against the news the capital city is being renamed after former President Nursultan Nazarbayev. 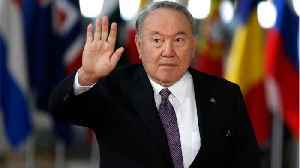 Kazakh police detained about 20 people on Thursday who protested against the renaming of the Central Asian country's capital city after ex-president Nursultan Nazarbayev, the first decision taken by..
Kazakhstan's second post-independence president wanted to rename the country's capital after its first president, who served for 30 years. The new president also named his predecessor's daughter the.. 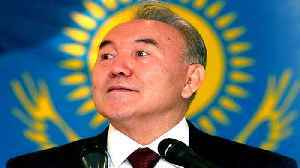 When Nursultan Nazarbayev announced he was stepping down as president of Kazakhstan, many people in the ex-Soviet state, where more than half the population have known no other leader, did not know how..
President Nursultan Nazarbayev, 78, announced his resignation. 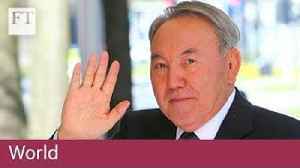 The post Kazakhstan gets new leader first time in 30 years appeared first on Premium Times Nigeria. Nursultan Nazarbayev, the President of Kazakhstan of 30 years and the last Soviet-era leader in power in a former Soviet republic, unexpectedly resigned on Tuesday, but is widely expected to retain..